Get $10 OFF TurboTax Premier on sale through April 15th! 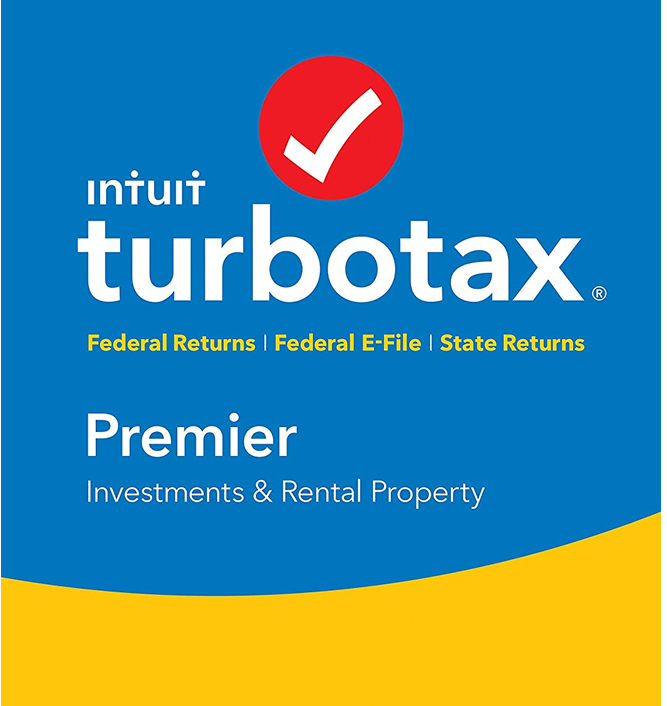 For both all new and returning TurboTax customers, Intuit is once again offering their all-season special where you’ll save $10.00 off on the Premier online version of their software if you file by April 15th, 2019. You’ll also be able to start your return for free and, for all returning users, all of your tax info will automatically be uploaded into you account if you use your same email address from last year. Just follow the link about to activate the discount and to learn more about your filing options. Bundle Deal! Get 50% off with the 2019 TurboTax/Quickbooks bundle. If you’re a user a Quickbooks and haven’t yet upgraded to the 2019 version, then there is no better time to upgrade because the TurboTax/Quickbooks bundle discount is back again during this tax season. Plus as an introductory offer, you can save 50% off your first three months of service. See site for offer details. Offer will last through April 15, 2019. Now on Sale Pick up TurboTax Premier on sale at Amazon. If Amazon is not yet your go-to store for tax software, then it should be! We’ve just found TurboTax Premier for 2019 (which includes eFile and the State return) now on sale though this week at Amazon. Offers will vary so see Amazon.com for the latest sale prices on all the TurboTax versions. Try it Free Try out TurboTax Premier for free before you get it. If you haven’t used TurboTax before or if you want to test out the difference between versions for yourself, then you can start your actual tax return for free at the TurboTax site before selecting a version to buy. Unlike a traditional free trial, there is no software to install because this trial lets you complete your return online at TurboTax.com. You can save all your work as you go along and once you near the end of your return, you can decide to either file with them (any pay for the copy at this point) or just simply cancel. If you derive income from regular work, investments, and rental property TurboTax Premier is the most appropriate selection to get your tax returns filed. If you have a brokerage account to handle your investment services, TurboTax Premier will import full year of investing history; you no longer have to manually enter all the details as the software will even retrieve prior years details to calculate cost basis for stock, mutual funds, bonds and employee stock purchase plans. Analyze rental property income and go over the list of deductions, set up a new rental and calculate the fair market rent value. One feature that is a great compliment to Premier is My Analysis & Advice. It’s a personalized report that consolidates your past tax returns and offers advice on how to maximize your next year refund or minimize a tax liability. In a sense it is a planning tool, which shows the impact of different types of income on overall tax return. By studying how your return has changed over the years, you can design it to reap grater benefits in the future. Those would be the features specific to Premier version of TurboTax, but there’s more. You can save time with transferring your personal information from prior year returns and importing W-2 and 1099 forms. TurboTax then fills all the appropriate fields and your job is to confirm the accuracy of imported information or indicate any changes that happened in the last year. Although the user interface does not change from one year to another, one constant update is actualization of the tax law. One great benefit of TurboTax is peace of mind that your tax return is accurate. It is something that TurboTax is guaranteeing 100% going as far as paying for the IRS penalties and interest imposed on you if there is a calculation error. Your return will also include the maximum refund or minimum tax liability as Premier analyzes over 350 credits and deductions and helps you arrive at the best possible outcome. Get help on your tax questions on the screen by connecting with tax experts. Estimate and keep track of your charitable donations throughout the year then simply import them to TurboTax. Try IRS tool to maximize your individual retirement account. Consider education credits – if you had school or student loan related expenditures make sure you account for them. Work at your own pace – there are a lot of pieces going in to a tax refund that’s why you can stop anytime as your work it saved at every step of the way; and if you’re away from your computer, pick up where you left off using a tablet or smart phone. We also want to remind you that TurboTax has a number of partnerships with some of the top financial institutions, clubs and banks in the country. While we do not monitor any of these offers as they are for members/select clients only, you can check with your favorite ones to see if they offer anything for their clients. Some of the most popular partnerships we’ve see are the Turbotax Bank of America discount and some others like the Capital One, Vanguard, AAA Auto Club, Visa, and PenFed. There are others that exist out there as well so just be sure to ask the next time you’re taking to your teller or financial advisor to see what’s available. About the new TurboTax Live edition for 2019. Providing information on the investments can get complicated and that’s why the latest feature of TurboTax can be so important. TurboTaxLive allows you to reach a CPA or an Enrolled Agent (EA) to guide you through the filing process. Get a face-to-face meeting with them right off your screen on any of your favorite devices. You will enjoy unlimited access throughout the year and the tax pros will help you enter all pertinent information correctly and review it for accuracy. Before you file taxes, TurboTax checks the return one last time for errors and will point you to verify information it finds unclear. With TurboTaxLive you can request a CPA or EA to review your return line by line for better understanding and peace of mind. Whether you used TurboTax in prior year or not, there are options to import prior year tax returns and speed up the filing process. The easiest solution is for those who used TurboTax in the past because the software saves your details and imports it to the current year. You still have to verify the information in case you moved or there was a change to your marital status, but it helps to advance preparing the returns. If you didn’t use TurboTax in a prior year but have a PDF copy of the returns, you can easily import it (drag and drop into the right window) when prompted. As you go along answering questions about events that impact your tax situation, TurboTax provides information on credits or deductions that apply to you and how they impact your tax return. Its explainwhy feature offers explanation on why you qualify for a particular benefit. By having that information at your fingertips, it educates and keeps you aware of how your activities ultimately impact your tax returns. Another area that TurboTax Premier handles is reporting gains and losses from investments and rental property. Information about investments in stocks or bonds can be automatically imported to avoid any manual entry. This also applies to employee stock options and finding cost basis regardless of how many separate purchases you made. In addition, the software features reporting gains and losses from cryptocurrency trading. Due to the massive gains in cryptocurrencies in 2017 and early 2018, the IRS requested the account lists from major platforms that allow crypto trading. The IRS considers those gains (or losses) as any other investment and requires it’s reporting. Simple navigation and ability to go back and forth between different sections. User friendly interface – uncluttered and consistently voted #1 for ease of use. Review education tax credits and deductions for interest on student loans, tuition, or books. Track and accurately report your donations with ItsDeductable. Review whether or not you qualify for Earned Income Tax Credit, child tax credit, or Child & Dependent Care Credit.